Millstones came in pairs, the base or 'bedstone' is stationary, and above this is what is called the turning stone or 'runner stone' which does the grinding of the grain. 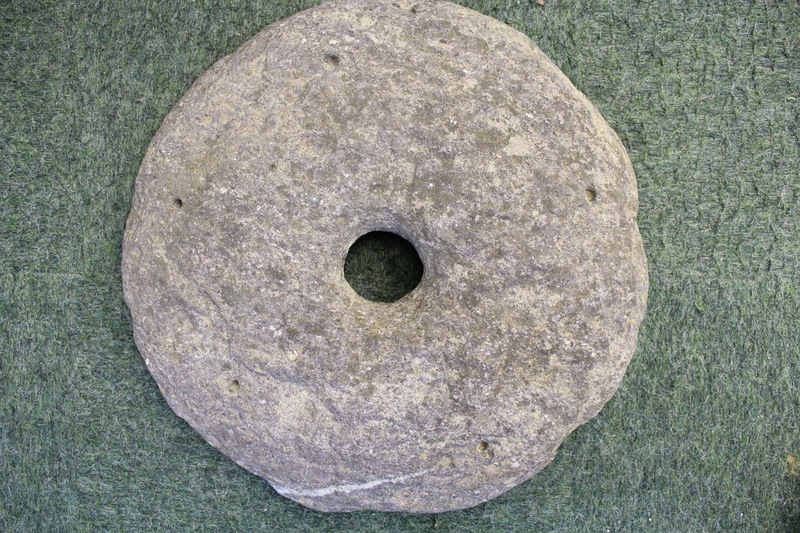 The bedstone is slightly convex in shape which allows the flour to be pushed to the edge. These stones can be difficult to date as the design did not change much over the centuries. The example shown here is probably 19th century.